New York - The conditions for Israeli agent Jonathan Pollard’s parole from prison are arbitrary, vindictive and would not prevent him from disclosing classified information if he remembered any after 30 years, his lawyers said in a submission to a New York court Thursday. Thursday was the deadline for Pollard’s lawyers to submit their final filing to the court ahead of decisive oral arguments in the case on July 22. The lawyers are trying to persuade Judge Katherine Forrest of the US District Court in Manhattan to remove parole conditions that require him to wear an electronic GPS ankle bracelet at all times, require him to be subjected to unfettered monitoring and inspection of his computers, and prevent him from leaving his New York home before 7 a.m. or return after 7 p.m.
“The [parole] commission has a statutory burden to satisfy before it may deprive Mr. Pollard of his liberties, and it has not satisfied that burden,” Pollard’s lawyers Eliot Lauer and Jaquest Semmelman wrote Thursday. The commission asked Forrest for permission to file a classified statement to the court that Pollard’s lawyers would not be permitted to see. She permitted the documents to be filed but said the parole board must disclose to Pollard’s attorneys the substance of the submission. Lauer and Semmelman wrote that the parole commission’s decision to not submit anything of substance following Forrest’s ruling was proof that they do not have a single document they are comfortable having them scrutinize. “The commission’s reversal is a clear admission that after reviewing its files, it came up with nothing that it could credibly show the Court, and which would withstand the scrutiny of petitioner’s counsel,” the lawyers wrote. “Moreover, the Commission offers no basis for concern that if in fact Mr. Pollard did retain anything in his head, he would disclose that material after 30 years in prison. The lawyers wrote that the commission failed to establish that there is any possibility that Pollard is able to disclose meaningful details about the documents he saw 31 years ago. They wrote that even if Pollard still retained properly classified information, the commission failed to set forth any rational, logical connection between the alleged theoretical risk posed by Pollard and the special conditions imposed on him. Citing several examples from 1998 to 2014, Lauer and Semmelman said the fact that multiple American administrations were willing to release Pollard as part of a prisoner exchange or to persuade Israeli governments to advance a peace process with the Palestinians proved the insincerity of the commission’s claim that Pollard would commit further crimes while on parole. 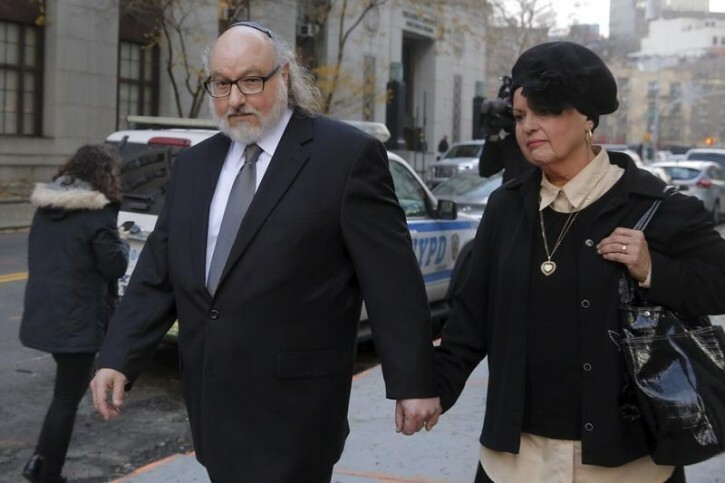 Pollard was released on parole November 20 after serving 30 years of a life sentence for passing classified information to Israel. Russian and Chinese spies have it easy but this is a Jew that helped ISRAEL, so Obama wants to get him hurt as much as possible as will Hillary the askanim's preferred candidate. Go Trump. Maybe it Time to leave him alone. Maybe the Jews should make some noise. Any one wonder how he and his wife are doing? Just wondering as its the first tim they are living together. He hurt America big big time why sould they give it to him, besides isreal is the dangerous place for jews the most jews got killed ther the last decade so whats the point he sould go there? So did he ever find a job? Doing what? Why would Drumph do differently than all the Republicans and Democrats of the last 30 years? Obama is releasing dangerous drug dealers, at least one who has returned to his old profession; yet, the government is still harassing Pollard, after so many years. Where is Trump? Why doesn't he mention Pollard? Tell us, O Brainiac, are you not ashamed of your illiteracy, on top of your vile hatred of Jews living in israel?! Or are you too UNEducated TO REALIZE how stupid you look? He probably reads and writes Hebrew a lot better than you. So what if he is maybe a Neturay Karta? Btw do you even know what it means?